Obama’s opposition was never this firm in 2012. Now, the share of Americans who said they definitely wouldn’t vote for Obama did increase as the election got closer, but it only it only hit 40 percent or higher in two polls in our data set, which runs through about 250 days before the election.2 With Trump, on the other hand, close to 50 percent of Americans have already said they definitely wouldn’t vote for him even though we’re still more than 600 days away from the election. Yes, the combined percentage of Americans who said they definitely wouldn’t and probably wouldn’t vote for Obama cracked 50 percent on several occasions — though Obama won 51 percent of the popular vote in 2012, so he probably changed at least a few minds before Election Day — but the percentage who said they definitely wouldn’t vote for Obama was never higher than 42 percent in a single poll, whereas Trump’s number is currently about 48 percent, based on an average of the three most recent polls. 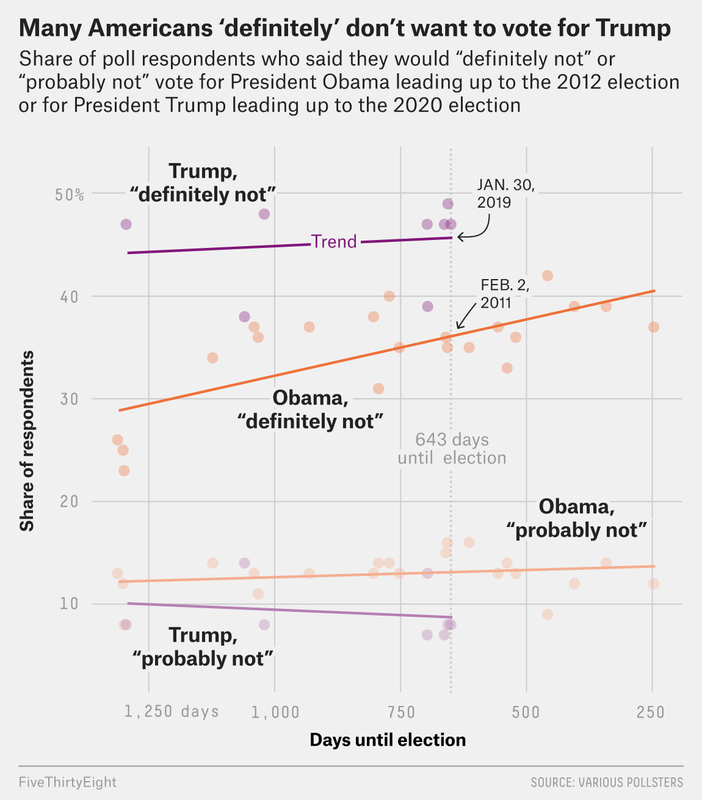 Trump also has about half as many voters in the more persuadable “probably” camp, which suggests he has less wiggle room than Obama did. 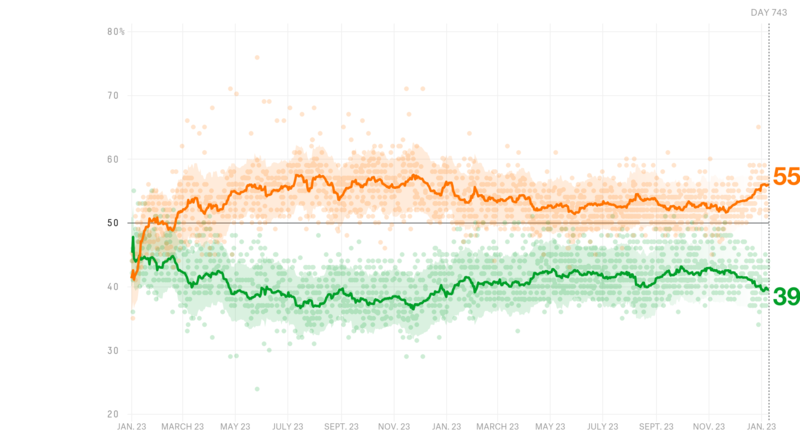 For both presidents, I collected polls that used a similar question format to the Morning Consult poll, using the Roper Center’s database as well as data from recent polls. After that, pollsters mostly stopped asking the generic questions we’re looking at and started asking more specific horse race matchup questions about Obama and Republican Mitt Romney.